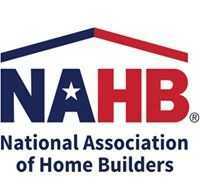 “NAHB commends the U.S. House of Representatives for using the Congressional Review Act in an effort to overturn OSHA’s Volks rule. We have vigorously opposed this rule from the start, and have led the charge alongside dozens of other industry groups who stand ready to fight this unlawful example of regulatory overreach. “In 2012, the U.S. Court of Appeals for the District of Columbia Circuit held that OSHA could not issue citations for failing to record an injury or illness beyond the six-month statute of limitations set forth in the Occupational Safety and Health (OSH) Act. In a clear attempt to circumvent congressional authority and in spite of the court’s decision, OSHA went on to introduce this new recordkeeping rule which went into effect last month. The Volks Rule will subject millions of small businesses to citations for paperwork violations, while doing nothing to improve worker health and safety.